Embarking on a job search can be overwhelming. 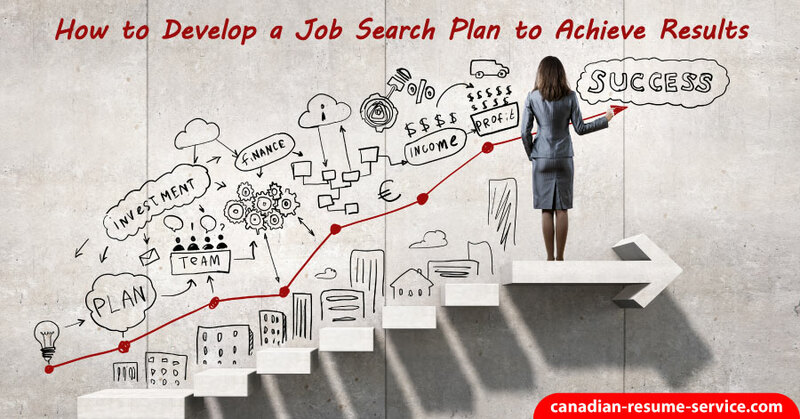 Developing a robust job search plan will help. After you know what position(s) you would like to target, you will need to write a focused resume and cover letter. In today’s highly competitive job market, it is imperative that you create a written job search plan. The days of just dropping off a resume and cover letter are pretty much over. A job search plan will begin with a lot of research and hard work that will allow you to tap into hidden job markets, network, find advertisements and job listings and work with reputable recruiters. To begin, you’ll need to map out your job hunting strategy to increase the chances of landing a job quickly. Ensure that you have an eye-catching and effective resume and cover letter that is focused on your specific profession. These documents need to showcase your accomplishments and competencies within your industry and highlight what you can offer the company concerning revenue increases, productivity improvements, or business growth. A targeted resume gets better results – when it lands on someone’s desk, it shows you are an expert in the position you are wishing to secure. Once you’re satisfied that your documents effectively sell your skills and talents, it’s important to set daily and weekly objectives so that you have a concrete way of evaluating your progress. Identifying weekly objectives will also hold you accountable for your actions and push you to achieve your goals. If you plan on doing something, chances are you will make it happen if it is written in black and white. There is nothing better than being able to check off your accomplishments at the end of the week; you know that you did all you could. Reflecting on your week is a top-priority of a job search plan. What did you learn, what could you have done better, what success did you have? Next, determine the amount of time you are willing to allocate to identifying target companies, researching job openings, making contacts, and completing follow-ups. Setting a timestamp ensures that you plan for all these steps. Making deadlines will keep you organized and structured. It is wise to invest in a manual day planner to record all of your appointments, activities, and results. Using technology such as your phone or laptop is useful to many job seekers, but for others, a physical day planner might be better. Lastly, you should organize your job search days just as you would a regular work day. The amount of time devoted to a job search will depend on if you are currently employed. Remember, [tweetthis]looking for a job is your full-time employment until you land that fantastic new job. [/tweetthis] Stick to an organized job search plan and notice the positive accomplishments you are making. Schedule at least one job search-related activity away from home each day. Plan to do some community networking, walking around to get energized and keep you motivated. You may stumble upon a person who provides a job lead to your next employer. Rinse and repeat these job search steps daily – it works!